Snowshoe hare are different from domesticated rabbit: the skin is thinner and the hair is wilder with longer guard hairs. These hare are in the winter phase and tend to be whitish. 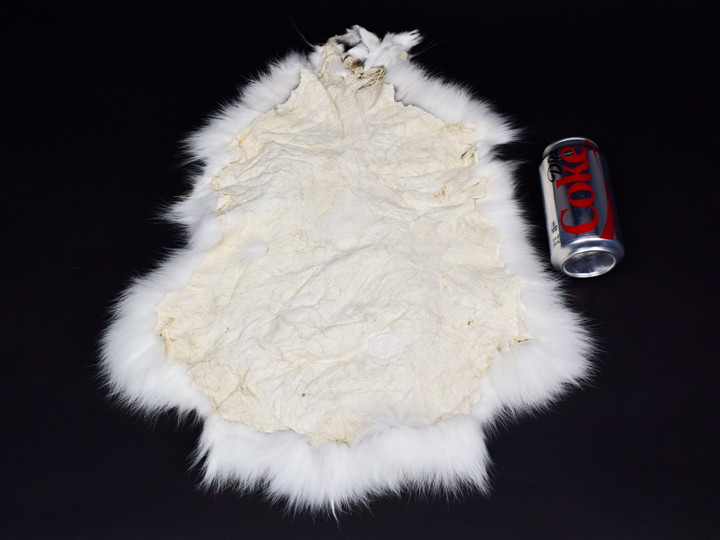 The Arctic snowshoe hare skins are uncased and are approximately 14" to 16" long by 9" to 12" wide across the middle. They weigh around 3 ounces (90 grams). The U.S. snowshoe hare skins have small nicks, holes, tears, or cuts on the hide side that typically cannot be seen from the hair side. These imperfections can be sewn up--we just don't have time for this. 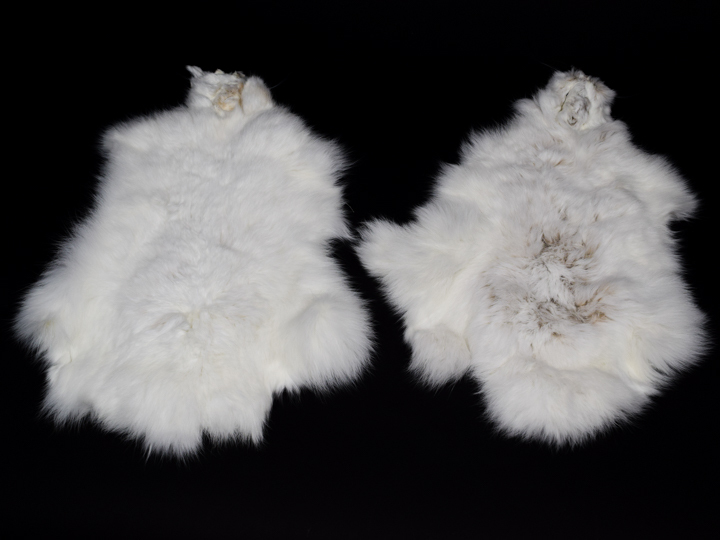 These cased hare skins are approximately 16" long by 7" wide and weigh 0.22 pounds. They are good for craft projects. Genus and species for Arctic snowshoe hare: Lepus timidus. Wild. Genus and species of USA snowshoe hare: Lepus americanus. Wild. *Not for export to Ontario, Canada.